At present, most of the theme parks, museums feature animatronics Dinosaurs models that can attract more people as they are a favorite prehistoric animal. People love to see animatronic dinosaurs in the theme park. People want to know more about the dinosaurs, and things about dinosaurs are considered as the good entertainment options. Apart from that collecting dinosaur fossils and skeleton has been a favorite past-time for many people. The true is, it is very difficult to get a piece of real dinosaur fossil. But the good news is, the artificial dinosaur skeleton manufacturers offer the realistic collection of dinosaur skeleton as well as fossil models at pleasing rates that are a great addition to any parks, museums or even the living houses. In general, the dinosaur skulls and skeleton allows people to get more details of the extinct creatures with the latest scientific evidence. With the mature technology process, the dinosaur skull can be duplicated in a really realistic look. It can be used for both learning and entertaining. Now most skeleton models is made from durable poly-resin and is reinforced with fiberglass and then hand painted with the finest details. To duplicate a realistic dinosaur skeleton, dinosaur expert consultants are in need to ensure the true characteristics of the dinosaurs. And the high-quality materials will make the skeletons durable. A museum quality dinosaur skeleton should come with cracked lines, dark brown colors. It seems transcending millions of years. These significant fossil characteristics may surprise the paleontologists. 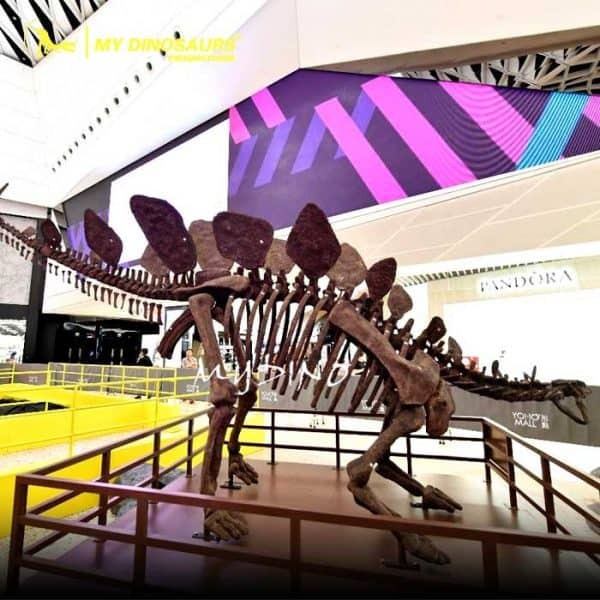 The beautiful dinosaur skeleton replica is suitable for indoor and outdoor display. You can select a giant dinosaur skeleton model crafted with excellent quality materials. If you want to hold a prehistoric theme exhibitions, placing some wonderful dinosaur skeleton models is a good idea! People visiting your place would be delighted looking at these marvelous and exceptional dinosaur fossils. Through this they can understand the comparative anatomy of a dinosaur. 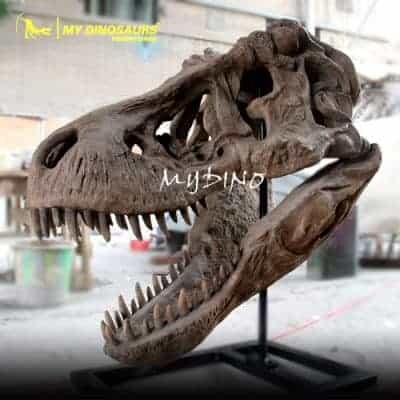 My Dinosaurs is a highly professional dinosaur product manufacturer offering a fantastic choice of dinosaur and animal models in China. In general, they have specialized in this field for more than twenty years, so the experts are always dedicated to producing high-quality products at reasonable prices. 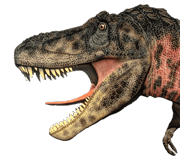 My Dinosaurs offers a range of products including animal skeleton and fossil, miniature park sculpture, animatronics dinosaurs & dragons, dinosaurs costume and puppet, static dinosaur statues etc. Every product manufactured with high-quality materials that can offer outstanding benefits. In short, My Dinosaurs offers highly customized theme park products. If you want to impress your visitors and guests, you may consider buying some high-quality dinosaur skeletons and skulls. 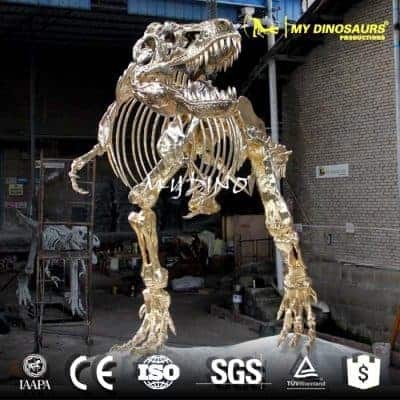 This entry was posted in Product Showcase, Showcase and tagged animatronic dinosaur, dinosaur fossil replica, dinosaur skeleton, dinosaur Skeleton Replica, museum dinosaur skeleton, museum fossil replica.